Even though I love the smell of new books, I’m an absolute sucker for a bargain! I could easily get a number of sought-after second-hand books at the cost of one brand-new book. While some dread the idea of someone else having owned a book before them, I don’t mind second-hand books as long as they’re in good condition! I think my posts about Second-Hand Bookstores is a dead giveaway that I clearly love second-hand books. On a couple of occasions I read a book that received plenty praise or was recommended to me, but halfway through, I found that I wasnt actually enjoying it. Then the question arose… “Should I finish this book?”. Munira from A Touch Of Starlight recently struggled with this issue in one of her posts too so I know I’m not the only one struggling with this problem. I believe in practising the art of non-finishing which I learnt from Tim Ferriss’ 4-Hour Work Week, so the answer to this question is definitely NO. I just can’t afford to waste precious time on reading bad books! Is there even such a thing as a perfect reading spot?? I often find myself turning and switching positions if the reading spot is just not right! Your reading spot definitely can’t be too comfortable either then you’ll end up falling asleep. I quite enjoy reading on my bed or sitting upright (how I read most of the time when using public transport). I even enjoy reading fictional novels while cycling on my exercise bike (weird, I know). I often switch between reading just one book at a time to reading 3 or 4 at the same time. Sometimes my TBR list is too long and I get anxious about never starting any of them then I end up reading the first few chapters of every odd book! Other times I look myself in the mirror and say “GET YOUR ACT RIGHT AND FINISH THE DAMN BOOK!” then focus on 1 book hoping to finish it before the rest. Before I decide to take on more than 1 book now I check if I can manage them before just diving in. Nihaad from Read and Seek Blog mentioned in a recent post how she too has been asked on MULTIPLE occasions what her favourite book was and it’s just too hard of a question to answer! I feel the exact same way! I think it would be best to ask what my favourite genre is – because if you’re talking specifics, I hope you have all day. So please don’t ask me about my favourite book because I have plenty of favourite books and authors! What are some of your bookish problems? Let me know in the comments below. Although I love buying new books, I do find a lot of pleasure in second hand book stores (more for the store than the actual books). It’s delightful when I find a book that I’ve always wanted & it’s in a vintage edition. I especially like the bookstore in Gordons Bay! I love new books but buy a lot of used books these days, otherwise I wouldn’t be able to afford my habits. I do have certain requirements when choosing used books though – I won’t buy a book that looks too used. Thanks for the follow and I did the same. 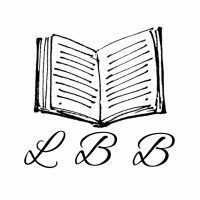 If you’re on youtube, you might also want to check out my channel where I proclaim my love of books. Today’s blog post shares my recent video. Haha books are quite expensive here too. I agree with you that requirement about not buying books thats too used. I still have to be able to page through it without the pages breaking off lol Thanks, will check it out!